This Beneteau Oceanis 411 sailboat, built in 2000 is an excellent choice for those wishing to experience a new sense of freedom in style and comfort. Wake up to the sound of the sea in one of the Beneteau Oceanis 411’s 4 spacious and modern cabins. 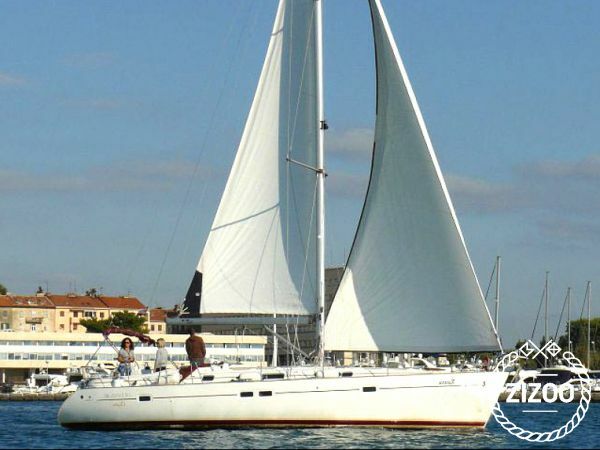 Sleeping up to 10 people, this sailboat is perfect for sailing with friends and family. The Beneteau Oceanis 411 is located in La Lonja Marina Charter, Palma, a convenient start point for exploring Spain by boat. Happy sailing. This was my third time booking with Zizoo and I'll be coming back next year as well. I'd never been sailing in the Mallorca area before but the charter office offered quite a lot of help in terms of suggesting routes and personal recommendations. Can't fault the experience.